We offer Louisiana’s only true conflict-free tenant representation. Let us advise you on your lease project from conception to completion. To represent the organic interests of our clients and their financial, physical and timing needs throughout the lease or purchase process for any office, medical, retail, industrial, or entertainment space. Maria McLellan Real Estate is a conflict free, tenant representation group committed to a confidential, ethical and professional environment in honoring the needs of your company. 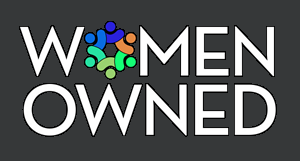 We do not represent Landlords, but instead work in conjunction with the Listing Agents to ensure equal representation. This is why you do not see our name in front of buildings “For Lease” as it is the Listing Agent that represents the Landlord/Owner and therefore has the contractual right to put a sign on the property. Think about it: how can the Listing Agent represent both parties equitably? The practice of tenant representation is common throughout the country, but not here. Unfortunately, conflicts of interest are a way of life in Louisiana. How are we paid? Our fees for service are shared with the Listing Agents fee offering with total disclosure to you. If you are not being represented you are paying for services you are not receiving. Our only focus is tenant representation of local, regional and national companies throughout Louisiana. We are committed to total client support, from early lease renewal evaluation and re-negotiation to site evaluation and relocation, new site market search and complete proposal-to-lease negotiations. Maria McLellan Real Estate, Principal Broker, works closely with our clients in selection and interaction with the interior design team, architects, contractors and commercial move companies. Relocation, re-negotiations, renewals or renovations can be daunting and expensive for tenants. A successful lease negotiation can hinge on having a seasoned professional guide the process to meet your timing and financial needs. With over 30 years experience, Maria McLellan brings to the table an incomparable knowledge of the local markets and inventory, listing brokers, building owners and building-specific financial circumstances; tools that are invaluable in negotiating the lease arrangement you want. We develop a personalized financial strategy before you engage the market. Proper market, financial and physical space review and acceptability, negotiations, lease review and corporate approval requires a six-month lead time, and renovations of existing space can further lengthen this process. We will coordinate with your designated design, architectural and construction teams to keep your project moving forward on time and on target. Additional services include subleasing and dispositions, square footage analysis, common area factor calculations verification, operating expense base year analysis, and removal of CPI adjustments. As a tenant broker, we do not list properties. We work on a commission/fee-share basis with listing brokers to represent your needs, 100% conflict-free and with full disclosure. Your records, files and data are kept confidential, with no disclosure or advertisement of activity without prior approval. Because our market conditions have changed so radically over the last few years it is important that you have a voice in determining your office future. As the second most expensive cost in running your business, next only to payroll, your office lease rents should represent “your” business model and financial needs and not that of the Landlord. You should not be compelled to compromise because of a lack of representation. Establishing a level playing field with proper tenant representation (including proposals and lease negotiations) will provide that voice and protect your business model and financial needs now and into the future. In the event you choose to pursue ownership instead of leasing, we’ll perform a market review in your preferred markets for purchase opportunities, either ground up development or for-lease with an option to purchase. Whether your vision means rebuilding, rehabbing, repurposing or merely deep cleaning, we have the connections and resources to make your vision come to life. We’ll also provide you with referrals to relevant economic agencies and tax specialists for Federal, State and local tax incentives, such as Louisiana Economic Development Tax Credits and Historic Tax Credits that can make your vision more attainable. Move facilitators are available to assist with furniture, IT, phones and cable for the newly renovated space or new location. Temporary offices, transition space, financial services and residential assistance are available in both markets through working alliances. We partner with the best in the business: Steinmetz & Associates and The Quality Group. 45,000 square feet (New Orleans): Amoco, Inc.
14,000 square feet (Lafayette): HUB, Intl. 10,000 square feet (Metairie): Symbion Healthcare, Milliken & Michaels, Technical, Inc., The Medical Team, Inc., Bass Enterprises, Inc.
Recognizing the changes in the Corporate Real Estate world, and the demands for uncompromising commercial real estate (CRE) representation has drawn us together to be the conflict-free, single-agency, undivided loyalty entity that every business is paying for and should expect—but is not necessarily receiving— with every commercial real estate transaction. Click a desired city on the map below to display the name and contact information of our network agent in that marketplace. If you are in need of representation, please contact me and I will be happy to discuss those needs with you and to make the proper introductions. We are committed to ensuring that our clients receive the best services with easy access to trusted and experienced agents focused on your specific needs. Protect Commercial Tenants and Owner-Occupants from the conflicts of interest that plague and pervade the Commercial Real Estate Industry. Represent only the interests of Commercial Occupiers and never work for Commercial Landlords. Never accept any property listings from Commercial Landlords. Use our professional experience, knowledge and integrity to provide objective, superior advice for Commercial Occupiers. Act as true fiduciaries, advocates and loyal, obedient Agents for Commercial Occupiers. Elevate the interests of Commercial Occupiers above our own. Abide faithfully by real estate laws wherever we conduct business for Commercial Occupiers. Avoid any practice of real estate as a Dual Agent, Designated Agent, Intermediary, Facilitator or Transaction Broker, all of which invite and breed conflicts of interest. Accept no referral fees from any professionals or vendors that we recommend to our Clients. Treat Commercial Occupiers’ decisions as respectfully and carefully as our own. The country’s largest mattress retailer is accusing a host of real estate companies and executives, including its nationwide real estate broker, of a multiyear scheme that involved inflated store rents, bribes, high-priced gifts and kickbacks from developers. The company claims the scheme may have affected more than 800 stores nationwide. 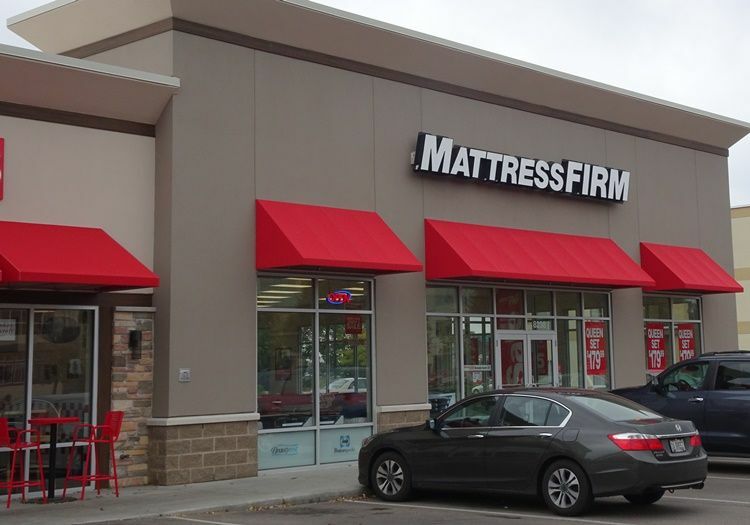 Houston-based Mattress Firm is suing Colliers International’s Atlanta office, Colliers International Senior Vice President Alexander Deitch and two of the retailer’s former in-house real estate executives — Bruce Levy and Ryan Vinson — for allegedly steering Mattress Firm stores to locations with leases well above market rates. International Tenant Representatives Alliance (ITRA): ITRA Global is an organization of real estate professionals specializing in representing commercial tenants and buyers in the leasing, acquisition and disposition of office, industrial and retail facilities. Corporate Real Estate Advisors (CRESA): We’ve always been strong advocates for clients. Apparently, they’re strong advocates for us. The Watkins Research Group ranked CRESA #1 in client advocacy. DXC Technology has moved into its’ new regional headquarters in the New Orleans Central Business District with 300 employees and a promise to hire an additional 1,700 for a total of 2,000 white collared professional employees over the next 6 years. This is the single largest LED financially sponsored public/private partnership in employment stats in the state’s history. The center has become home to 300 high-quality technology jobs and serve as a major resource for GE Capital employees across the nation. Executives announced GE Capital would occupy over 60,000 square feet of office space in the New Orleans Central Business District. 2011 adding a major headquarters expansion making CenturyLink the 2nd Fortune 500 Company corporate based in Louisiana. The 1st is Entergy. Working in conjunction with the National Tenant Broker for a $2B Life Insurance Company in need of relocating an existing 4,000 sqft office in Baton Rouge, we successfully identified 5 locations that met the criteria with a focus on an I-10 location, 35 parking spaces, accessibility and rental rates. A customized Proposal was created, submitted and analyzed upon receipt. 3 locations were identified from the results, with 1 at the top of list. We were successful in achieving the property of choice that satisfied all special needs requirements of the local and corporate offices, as the Tenant was able to upgrade their space from Class C to Class A at below-market conditions taking advantage of existing Class A interiors with renovations.. The Listing Agent was outstanding to work with as was the Landlord. This assignment took 7 months to complete. After receiving a referral from the Atlanta National Tenant Broker, I was introduced to a 150-year-old local lithographic food label printing company in need of a new distribution warehouse facility as close to the main plant as possible. After an exhaustive search and market analysis it was determined that an existing 25,000-30,000 sqft warehouse, with the necessary amenities, did not exist in the area of choice and the client would have to go outside of their preferred area. A facility was identified West of the Airport in another Parish, in an established industrial warehousing area. Immediate negotiations commenced and was completed in mid-December, 2016. Tenant was able to upgrade its space needs to Class B at below-market rents with negotiated built-to-suit tenant improvement dollars and rent offsets. Construction is currently underway with occupancy by the end of March, 2017. This assignment took 1 year to complete. in service to their original intent. Over 1M sqft of office space over the last eight years has and is undergoing conversions to hotel rooms, apartments, condominiums, retail and parking garages. As of the 1st Quarter-2018 at least 2 CBD- Class B mid and high rises have been targeted by their owner for conversion as a combination Hotel and Apartments. These landmark locations offer extremely valuable amenities; an on-site parking garage and multiple ground floor retail re-purposing opportunities. Tenants’ leases will not be renewed. Market Tax Credits and Federal/State Historic Tax Credits to Investors and Developers seeking to take advantage of this Urban Historic Federal Tax Credits program. Properties must be 50+ years old to meet the designation or receive a waiver from the City of New Orleans. Needless to say, because we are Historic, we have had a plethora of these properties until now. At the rate these properties are being converted we will see a continued reduction of our traditional office space availabilities as tenants are forced to relocate to other CBD buildings, pushing up the occupancy level as well as the rental rate. Office space rental rates are the highest on record in all areas of Commercial Real Estate and rival Houston in costs. The Listing Agent trend is to remove all or a portion of the Operating Expenses from the quote, making the rental rate appear lower to the business owner causing even more confusion and misgivings toward our industry. Looking across the CBD skyline will show few cranes in the air and those you do see are associated with Hotel, Apartment and Condo conversions/new construction. Retail prices are at their historical high due to the influx of businesses servicing the tourist and residential consumer. Current Metropolitan Market Reports are available upon request and reflect the most accurate publicized information available. Year- end reports will be available 1st Quarter of the following year. Shadow market reports or sublease spaces are generally not available, but can be obtained. The bottom line: in overall size, we are a 3rd level market, and shrinking, in relationship to major regional markets like Houston or Atlanta. We have 8.8M square feet of Class A high-rises in downtown New Orleans and 2M square feet of Class A high rises in Metairie. We have less Class A high rise square footage in total than 3 city blocks in the Houston Galleria corridor. Our last Class A high rise was built in 1989 and is now known as the Benson Tower. We will have no new high rises built in Metro New Orleans as we cannot substantiate the financial or pre-leasing demands to get the building out of the ground. This ground is now more valuable as a parking garage, apartment and/or condominium building, or hotel conversion than as an office tower. For this reason, what we have, is what we will have for the foreseeable future. marketplace, with 2 local companies controlling the majority of the office and retail markets. Tenants have very little choice as to stay or move, re-negotiate, renew or relocate with dual agency and conflicts of interest at every city block. 1 National Investor owns 4 of the 5 Class A high rises in the suburb of Metairie or 1.69M square feet out of the total 2M square feet or 85% of the market. As our overall CRE inventory continues to shrink, forcing rental rates skyward, it will be very interesting to see the population shift further into a mixed use residential/commercial downtown environment. Maria McClellan, an independent commercial broker who represents tenants, said the North Shore offers the best alternative for Class A office space growth in the New Orleans area. She said there is a compression of the Central Business District of ce market in downtown New Orleans due to the removal of Class C and B of ce buildings from the available inventory. Developers have been converting these high-rises into hotels, apartments and condo- miniums over the past decade. McClellan said these office buildings are not being replaced, and she predicts more space is set to exit the market in the next two years. “There’s plenty of land on the North Shore for Class A of ce space growth,” she said. 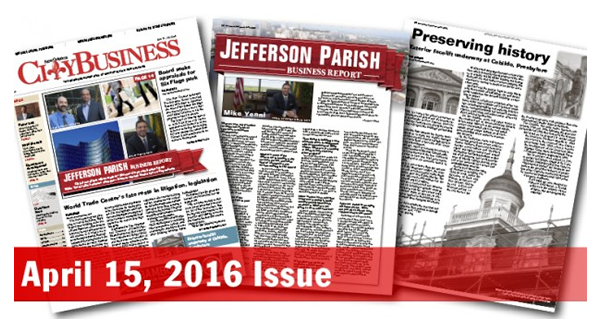 Though strong, the Jefferson Parish office market remained flat in the past year as the area continued to recover from slumping oil prices. But commercial realtors say there is possible growth on the horizon. A recent year-end report by Corporate Realty shows occupancy rates for the Metairie market slightly increased from 92 percent in 2015 to 92.3 percent last year. Rental rates for Class A buildings range from $21 to $26 per square foot, and space for Class B buildings rent from $18 to $22. Maria McLellan, an independent commercial broker who represents tenants, said because the Metairie market is so expensive, many companies are moving their operations to St. Charles Parish, particularly St. Rose, where there is more available office and warehouse space. McLellan said there has been a spillover effect into Elmwood, making real estate more valuable in the area. This in turn has made it impractical for developers to buy land and to build new warehouses and offices. McLellan’s clients are now building out this space and leasing it as “flex space,” which is a conversion from warehouse to office space. Maria McClellan, an independent commercial broker who represents tenants, said many of her clients have been considering some of that “flex space” found in the Elmwood area as a conversion from warehouse to office space. “Parking is free and single-story building rents are much lower,” McClellan said. “You can also finish out the open space how you want it.McClellan said the traditional office market in Jefferson is “saturated” and that there is very little out there. “It is definitely still a landlord’s market,” she said. “Tenants seeking leases have had to get creative.” PJ’s Coffee New Orleans: Maria McLellan Real Estate represented the franchiser with the renewal of an existing lease incorporating new terms and conditions after performing an audit on the lease with multiple amendments dating back 20+ years. The $120 million hotel is being developed by Waypoint NOLA LLC, whose manager is Christopher Robertson of Arkansas. Robertson is also manager for the office tower’s owner, Poydras Properties, and he was an investor in the recently renovated Hyatt Regency nearby on Loyola Avenue. The Hyatt House brand, launched in 2012, offers extended-stay services with studios, one-bedroom and two-bedroom suites and full kitchens. The brokers were hired to lease out three of the vacant floors on behalf of ENI Petroluem, which moved its employees to Houston but had space contracted through 2018. Hand said of 9 million square feet of Class A office space in the Central Business District, more than 1 million square feet is up for lease — half of which represents full floors. Big companies that would be interested in large office space aren’t moving into the city, Hand said, while the city’s tourism economy is booming. The brokers decided to target the hotel industry. The building has a walkway to the Hyatt Regency at 601 Loyola Ave. Hand said guests at the new hotel will have access to the Hyatt Regency’s parking, fitness center and other amenities. The project is being financed by a $120 million loan from Starwood Property Mortgage LLC, a subsidiary ofStarwood Property Trust, the nation’s largest commercial mortgage real estate investment trust, according to the release. The loan is guaranteed by a 60-year lease from building owner Poydras Properties to Waypoint NOLA LLC. Robertson was one of the investors with Poydras Properties Hotel Holdings LLC, which bought the Hyatt Regency in 2007 for $32 million. The hotel reopened in 2011 after a $275 million renovation. 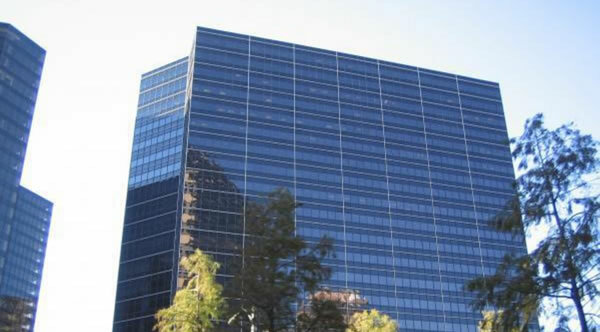 Poydras Properties also owns the Entergy building at 639 Loyola Ave. Seven vacant floors in the 1250 Poydras St. office tower will be converted into a 194-room Hyatt House hotel, a project that will consume the largest contiguous premium office space available for lease in the city, brokers on the deal announced Friday (Oct. 10). The 11th through 17th floors in the middle of the 24-story tower will be converted to a hotel operated by Select Hotels Group LLC, a Hyatt affiliate, according to a news release from Robert Hand, president of Louisiana Commercial Realty, and Maria McLellan, Gulf States Real Estate Services LLC, Associate Broker. 2014 CoStar Power Broker Award winner for Top Office Leasing Brokers in the New Orleans/Metairie Kenner market. 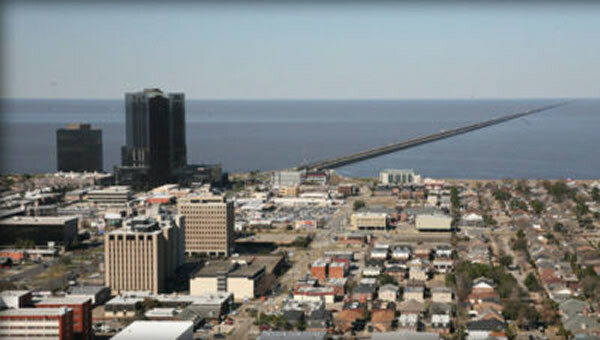 “100% Conflict free” Tenant and Buyer advocacy representation of corporate commercial real estate needs throughout Metro New Orleans (10 Parishes) and the Super Region of Baton Rouge (8 Parishes) covering Central Louisiana to the Gulf of Mexico. Producing in excess of $528M in leasing volume and 1.47.5M sq ft of commercial real estate transactions. In 2014, co-brokered ENI USA, Inc. (multinational oil and gas company) in buy out of 58,000 sq ft (3 floors) as part of 7 floors of high rise office space converted to (first in Louisiana) $120M Hyatt House Hotel concept adjacent to the Superdome. Also represented the nation’s largest private healthcare company, Kindred, in opening offices in Houma, La. Worked independently and with regional/national Tenant Brokers as the local expert on transactions for Newmark Knight Frank/Grubb & Ellis, Equis, Studley Company, CRESA, and International Tenant Representation Alliance (ITRA) using extensive up-to-date market knowledge to represent highly specialized medical, insurance, legal, general office and retail clients. 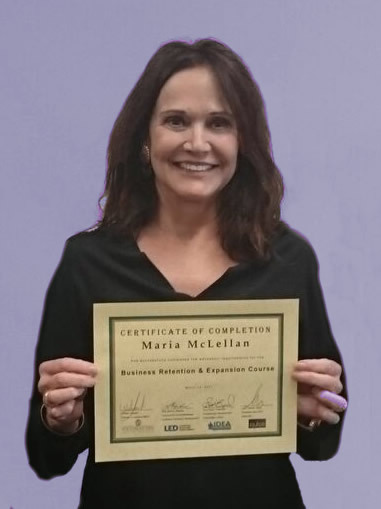 Maria McLellan Real Estate is proud to announce that Maria McLellan has successfully completed a live interactive course at Southeastern Louisiana University (SLU) in Hammond, La. on sharing best practices in Economic Development to create an effective Business Retention and Expansion (BRE) program. The BRE is a core course for the CLED (Certified Louisiana Economic Developer) credential. The CLED training program, begun by LSU in 2008, is administered by LIDEA (Louisiana Industrial Development Executives Association), the statewide Economic Development professionals’ organization. Ms. McLellan is one of 31 recent graduates who have successfully completed the 65 hour course program incorporating 7 core, basic and elective classes in economics, strategy and planning, finance, development, marketing, reuse and retention encompassing over a 2 year time period beginning the classes at LSU-EJ. Ourso College of Business Executive Education and concluding at SLU, the new CLED program sponsor.